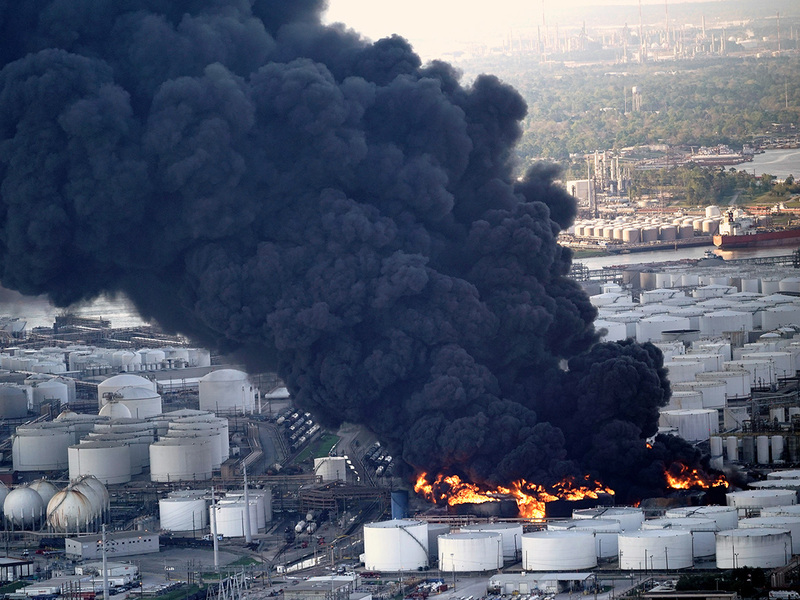 Chicago: A large plume of black smoke hovered over parts of the US city of Houston Tuesday as firefighters struggled with a days-long chemical plant fire. The chemicals could cause coughing, difficulty breathing, irritation to the eyes, nose and throat, headaches, nausea or dizziness, according to the Harris County Public Health Department. Officials closed nearby schools Monday, but reopened them Tuesday after tests reassured officials of the surrounding air quality. “Air monitoring continues and as of this update readings are currently well below hazardous levels,” ITC said in a statement Tuesday. But skeptical residents pointed to the plume of smoke spewing from the plant two days after the fire started. Many parents wrote on social media that they would not send their children back to school. “My son’s school is a couple of miles away. I will not gamble with his life over these false reports,” one parent wrote on the Deer Park school district’s Facebook page. Officials said it could take until Wednesday for the fire to be extinguished.